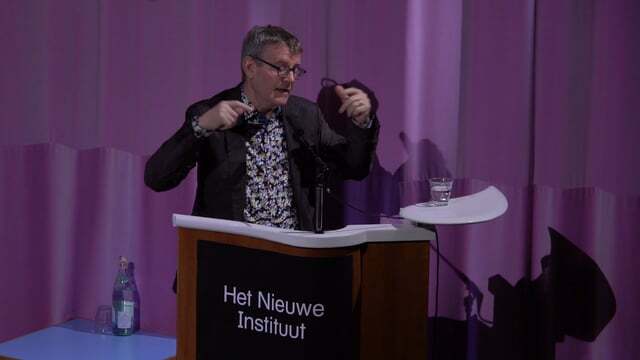 Architecture theorist Mark Wigley unearths the far-reaching fusion of technology and the human being. In the exhibition The Human Insect: Antenna Architectures 1887-2017 architecture theorist Mark Wigley explores 130 years of antenna architecture, in which architects refused to yield and engaged with this thinnest, least visible part of a building that actually has the greatest effect on architecture – the disobedient architecture behind the architecture. The exhibition links insects, which have antennae with which they negotiate the world and each other, to modern humans, who since the invention of the radio antenna at the end of the nineteenth century have actually become insects themselves. We now have feelers that are an integral part of our body and brain – something that, according to Wigley, we have yet to fully come to terms with. Antennas are in the smartphones in every pocket, they are in every room, building, street, vehicle, fish, bird, drone and product in the supermarket. We swim in a completely interconnected ecology of antennas, from the depths of our intestinal tracts to interstellar space. What has happened to architecture as a result? Antennas destabilize architecture. They redesign it. Figuratively speaking an antenna can dwarf any building to which it is attached, providing levels of communication and shelter far beyond the architect’s most ambitious imagination. On the other hand, an antenna can supercharge the most modest building. A humble shed can be launched into interplanetary exchanges with the addition of a thin wire connecting the building to an invisible world of signals. Mark Wigley is a Professor of Architecture and Dean Emeritus of Columbia University’s Graduate School of Architecture, Planning and Preservation. He is a historian and theorist who explores the intersection of architecture, art, philosophy, culture, and technology. His books include: Derrida’s Haunt: The Architecture of Deconstruction; White Walls, Designer Dresses: The Fashioning of Modern Architecture; Constant's New Babylon: The Hyper-Architecture of Desire; and Buckminster Fuller Inc. - Architecture in the Age of Radio. He has curated exhibitions at the Museum of Modern Art, The Drawing Center, the Witte de With in Rotterdam, and the Canadian Center for Architecture in Montreal. In 2016 he co-curated the 3rd Istanbul Design Biennial with Beatriz Colomina on the theme Are We Human? - The Design of the Species - 2 seconds, 2 days, 2 years, 200 Years, 200,000 years. His most recent book, written with Beatriz Colomina, is Are We Human? - Notes on an Archaeology of Design (Zurich: Lars Müller, 2016). His forthcoming book, Cutting Matta-Clark: The Anarchitecture Investigation (Zurich: Lars Müller, 2018), will be out in March 2018. A selection of insects with antennas has been made availble for this exhibition from the extensive collection of Naturalis. Naturalis' mission is to describe, understand and preserve biodiversity, through scientific research, maintenance of a unique nature-historical collection and its museum, with the aim of making everyone enthusiastic about the wealth of the natural world. 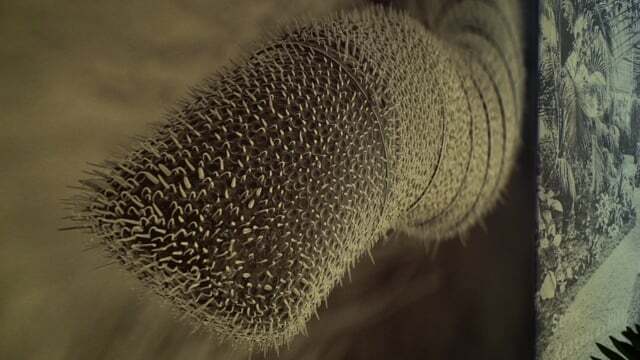 The Human Insect includes Rose-Lynn Fisher’s images of antennae of honeybees that she shot through a scanning electron microscope, in magnifications ranging from 15x to 3500x. Rose-Lynn Fisher is an American artist from Los Angeles whose photography explores the continuum between the vast and tiny, in aerial and microscopic views. She is the author of the books, BEE, highly magnified views of the honeybee via SEM, and The Topography of Tears, a visual investigation of tears through an optical microscope. Her work has been exhibited internationally, including Palais de Tokyo in Paris, Museum of Science Boston, Johnson Museum of Art at Cornell University, Nova Scotia Museum of Natural History, Craig Krull Gallery Santa Monica, among many other venues.